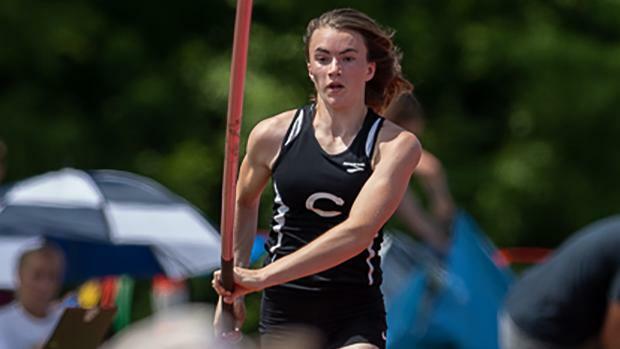 Defending State Champion Lynsie Curtis leads the way of seven returning State Medalists in the Class 3 Girls Pole Vault. Her vault of 12-6.5 that she vaulted at State was the Class 3 Record, and is over a foot farther than the second highest returner in Class 3. With that being said it looks Curtis will be in a great spot to defend her title and raise her record this season. Jake Freidel of Father Tolton is the top returner in the Class 3 Boys Pole Vault after finishing as the runner up last season. He has the highest returning vault with a 14-7, but he could see a challenge from last year's bronze medalist Jacob Luther who has vaulted 14-3.